Building on the foundation of Level One, Level Two Teacher Training is about personal transformation and deepening the core capacities, character and consciousness of a Kundalini Yoga teacher. Throughout your 2-year commitment (this is the minimal time), you will attend teaching events featuring lectures from Yogiji on five interconnected themes. Before, after, and during the events, you will connect with your global course community to refine your ability to reflect, to be aware, and to be consciously conscious of what you are learning. Develop the inner growth and personal discipline of a truly excellent teacher. Open to KRI Level One Certified Instructors, this 300-hour certification program consists of five, 62-hour modules. 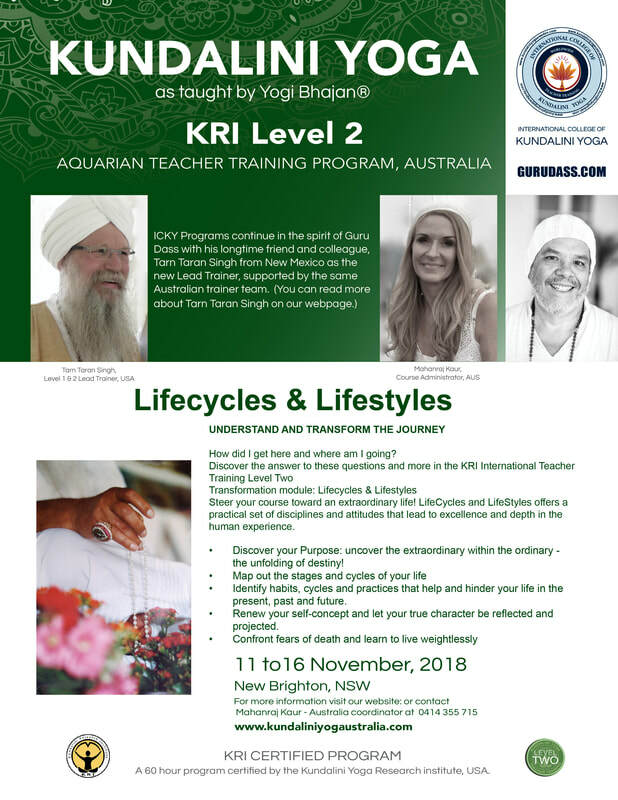 Graduates of Level Two earn the title of KRI Certified Practitioner of Kundalini Yoga as taught by Yogi Bhajan® and combined with Level One certification, fulfill the Yoga Alliance RYT (Registered Yoga Teacher) 500-hour requirement. ​After completion of Level 2 we invite you to continue on your journey toward becoming a Teacher by completing Level 3.